During April Fools a release date for Borderlands 3 was revealed by Gearbox before being taken down. Many thought this was a joke but it turns out it was true. With the release date for Borderlands 3 confirmed for September 13th, 2019. The confirmation came from an official trailer that revealed the new vault hunters. Named Moze, Fl4k, Amara, and Zane. The new antagonists were revealed as the Calypso Twins and we got a look at returning characters from the older games. For PC gamers, the title will be an exclusive for Epic Games Store until March 2020. This has become an increasingly more unpopular decision among customers. This due to Epic Games Store offering a higher cut. Valve's policy offers increasingly higher cuts based on sales, which makes it harder for indie developers to maximize profit. Triple-a publishers have become more inclined to side with Epic's launcher with titles such as The Division 2, Metro: Exodus, and now Borderlands 3 becoming timed exclusives for the Epic Games Store. If Valve hopes to avoid more of these exclusive deals a new desirable deal must be struck. 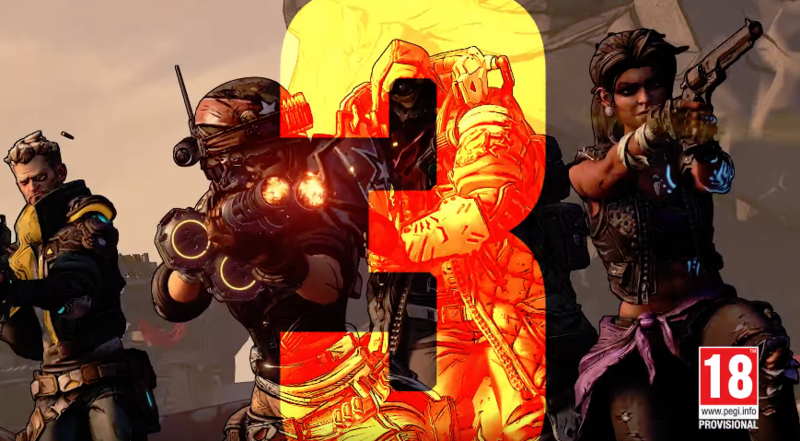 Borderlands 3 launches this September 13th for PS4, PC, and Xbox One.